SILC: Statewide Illinois Library Catalog : contributions to WorldCat from Illinois libraries. 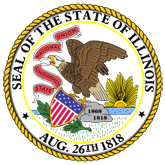 The Statewide Illinois Library Catalog (SILC) is a customized, statewide union catalog that combines all the states bibliographic records into asingle, searchable database. 1. State Illinois Library Catalog (lda93.pdf).